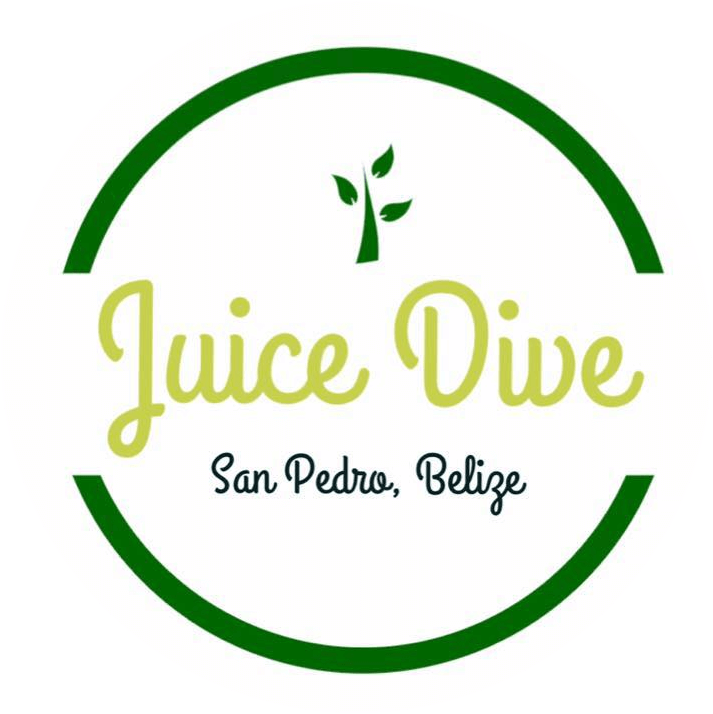 Juice Dive is a Belizean owned cold pressed juicery and cafe. 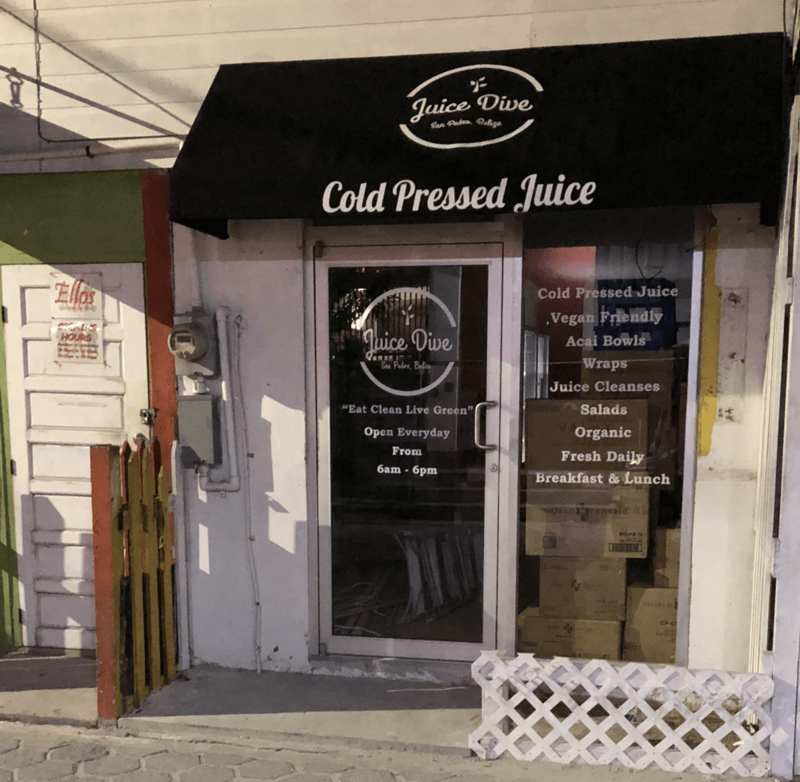 Their flagship store is located in San Pedro on Ambergris Caye. Offering healthy breakfast and lunch options including wraps, salads, Belize's first Acai bowls, they are vegetarian and vegan friendly. 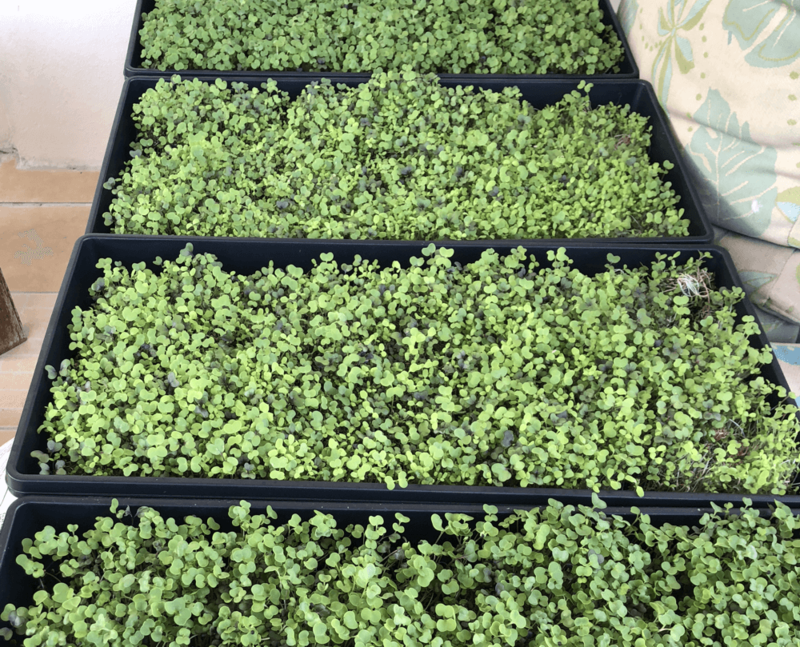 They grow their own micro greens for their avocado toast. 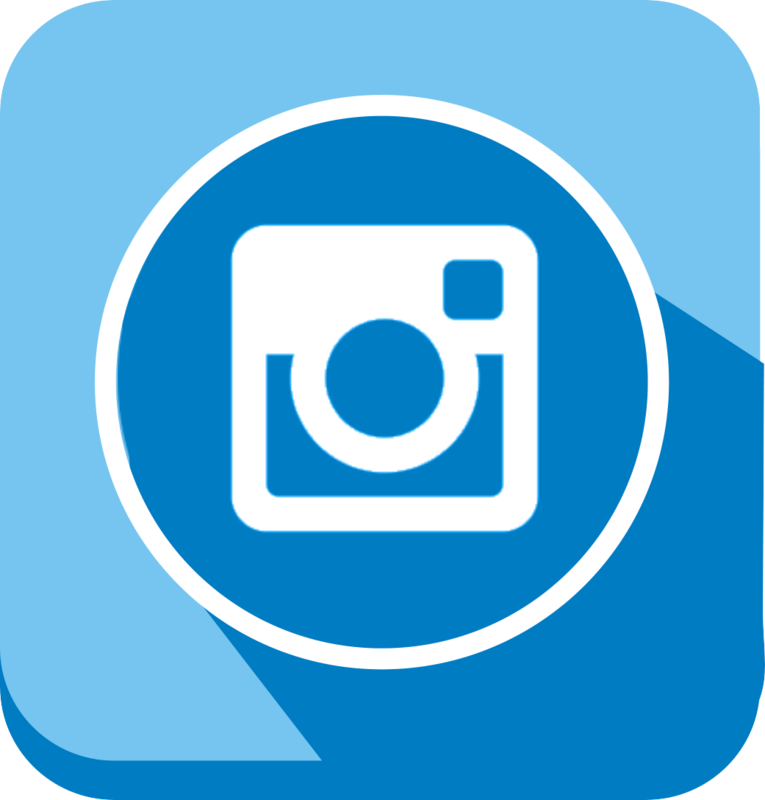 All packaging is biodegradable, and their products are certified organic. 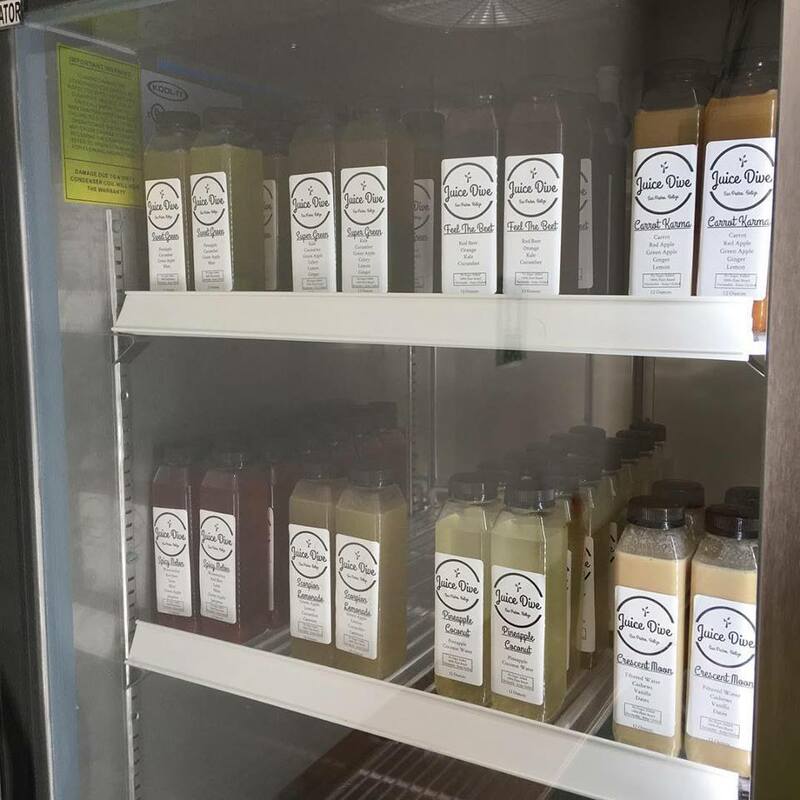 They also offer an amazing cleanse program based on their cold pressed juices. 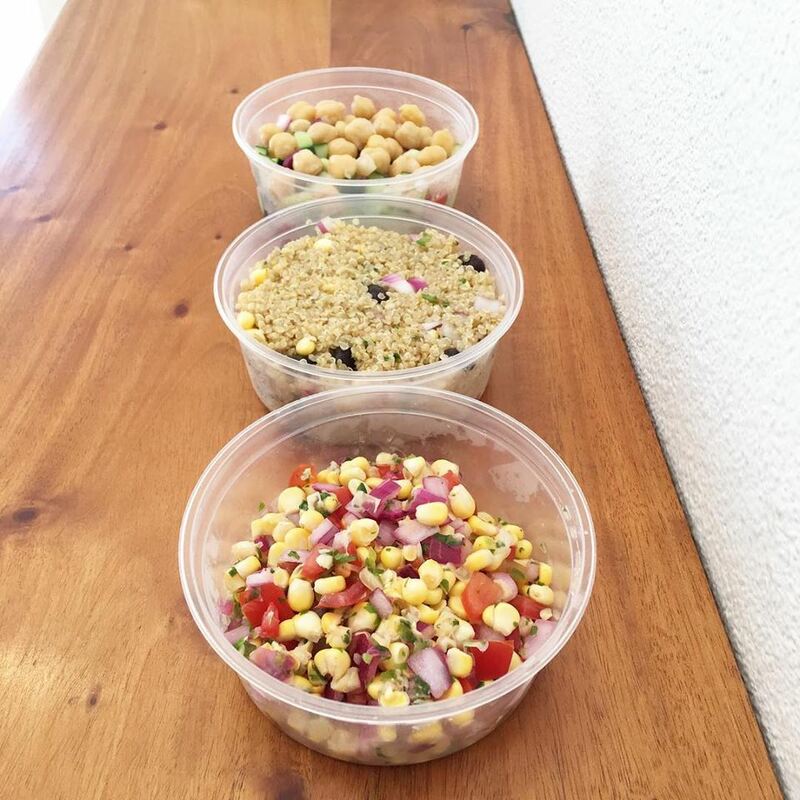 If you are in a hurry their new grab and go items include salads (Mexican corn, Quinoa, Greek and more), Hummus with fresh veggies sticks to dip and Chia pudding cups. 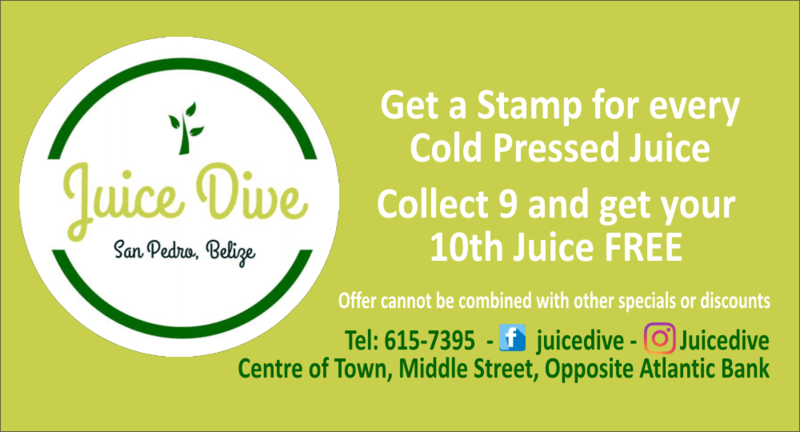 Open every day from 7am to 8pm, they are located on Middle Street (opposite the main Atlantic Bank). 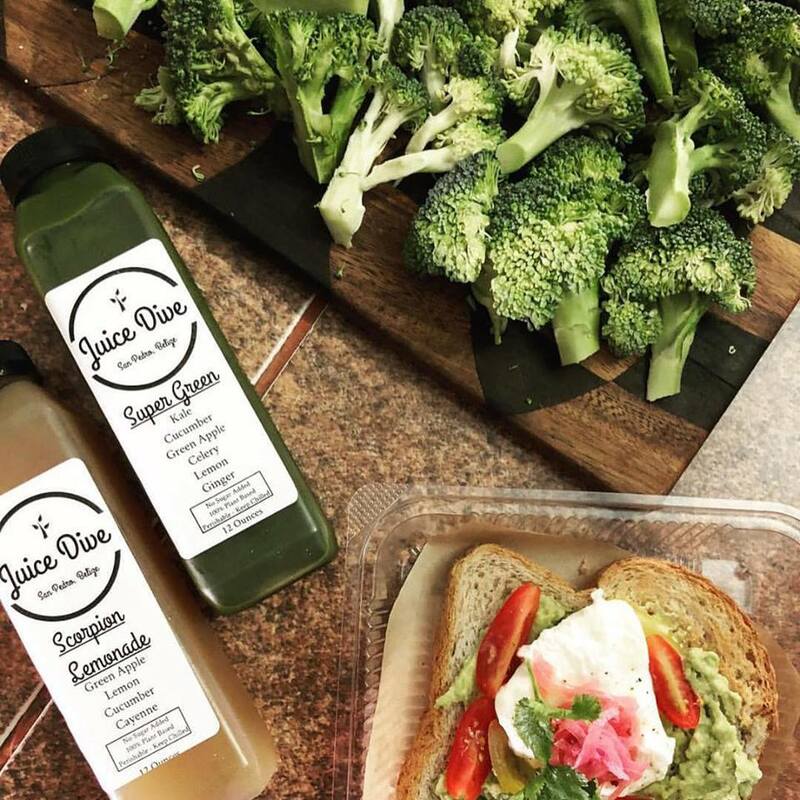 Their motto is, "Eat Clean and Live Green!" and they are on a mission to provide the residents and visitors of our island paradise with the opportunity to eat and live well.